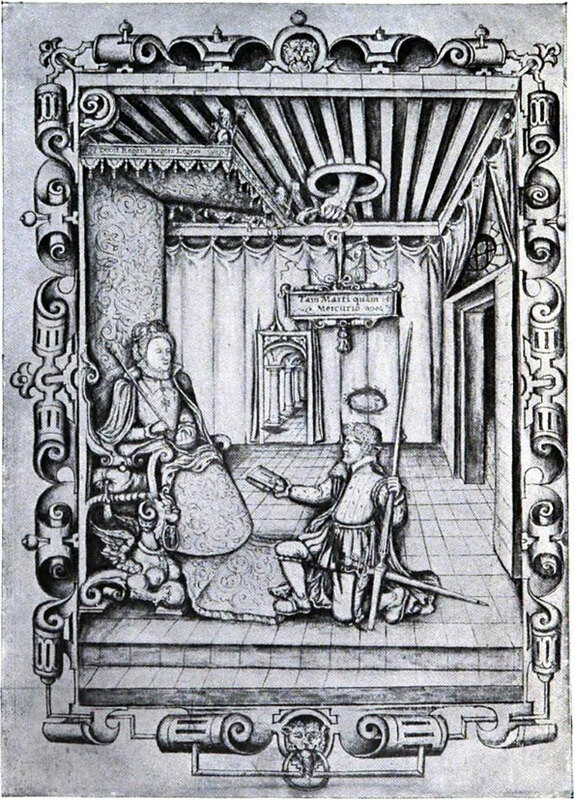 George Gascoigne, poet and dramatist, presenting his Hemetes the Heremyte (c.1579) to Elizabeth. Wilson, Dover John, ed. Life in Shakespeare's England. Cambridge: University Press, 1913. Frontis.